Well no big snowstorm this week, at least for the east coast. The western U.S. however is receiving a large storm system, with heavy rains and mountain snows. Now on to the road news and updates for this week at AARoads. Today we completed adding the new Interstate photos Carter sent in for the I-85 family of routes in Upstate South Carolina. This includes complete northbound coverage of I-385, as we coupled his photos from earlier this month with ones I took on New Year’s Eve of 2013. 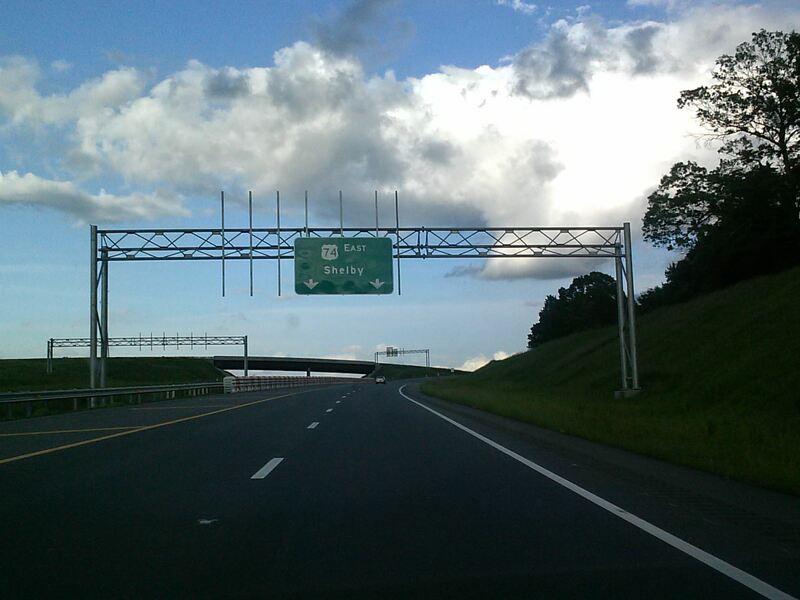 Some southbound photos were added as well, and a few updates for I-185 were added to replace 2001 and 2007 photos. The Interstate 585 guide on AARoads was also revamped, with new photos added both north and southbound. The route still does not officially connect to its parent, but upgrades completed in 2009 appear to be the end all for the interstate. Furthermore an email I sent to Spartanburg Area Transportation Study (SPATS) about further upgrades on U.S. 176 was never answered. Ones planned for U.S. 176through 2018 involve median work and synchronization of traffic signals only. While updating those guides, we also replaced end photo coverage on Interstate-Guide, while expanding the history sections of all three I-X85’s in South Carolina with more in depth research. Completion of I-385 for instance was narrowed down to 1985, with construction on what is known as the Golden Strip Freeway (the golden strip was the commercial stretch the freeway would serve) starting sometime in 1978. This also led us to a number of articles by the Herald-Journal on the relocation of Interstate 85 around Spartanburg. The route bypassed an original stretch of U.S. 29 bypass that was upgraded for I-85 in the late 50s. The new alignment was first planned in the 70s, before work finally broke ground in 1988. During the mid-80s, Spartanburg city officials expressed concern on the new route, contesting that it would take away from area businesses. This led to proposals to renumber the new alignment as Interstate 285. This never came to pass due to language in the Surface Transportation Assistance Act of 1982 involving relocation of an Interstate highway. Subsequent actions by the Spartanburg Hospitality Association in 2000 proposed renumbering Business Loop I-85 as Interstate 685. SCDOT officials determined that the costs to modernize the substandard freeway were both too costly and that upgrades likely would have been detrimental to businesses along the route due to right of way acquisition. Now onto some news of interest from Facebook, Twitter and the AARoads Forum. 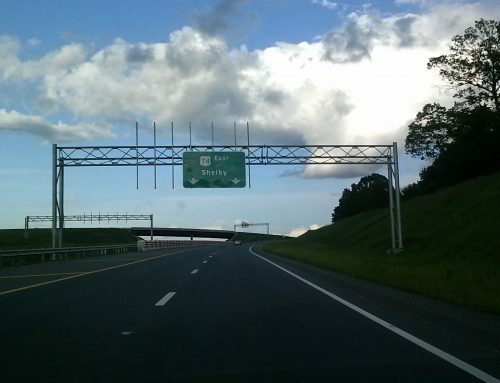 The big announcement in the world of roads this week came on Monday when the FHWA rescinded the interim approval for Clearview font on U.S. road signs. The use of Clearview font was approved on September 2, 2004, and over the years a number of states switched from Highway Gothic font to the new typeface. 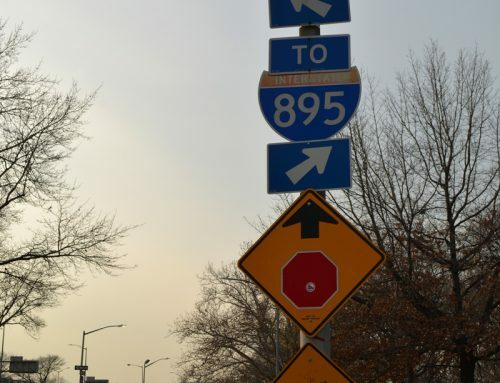 Except as provided otherwise in the MUTCD, the use of Clearview font shall be terminated on traffic control devices used on roads open to public travel. The effective date is 30 days from January 25th. 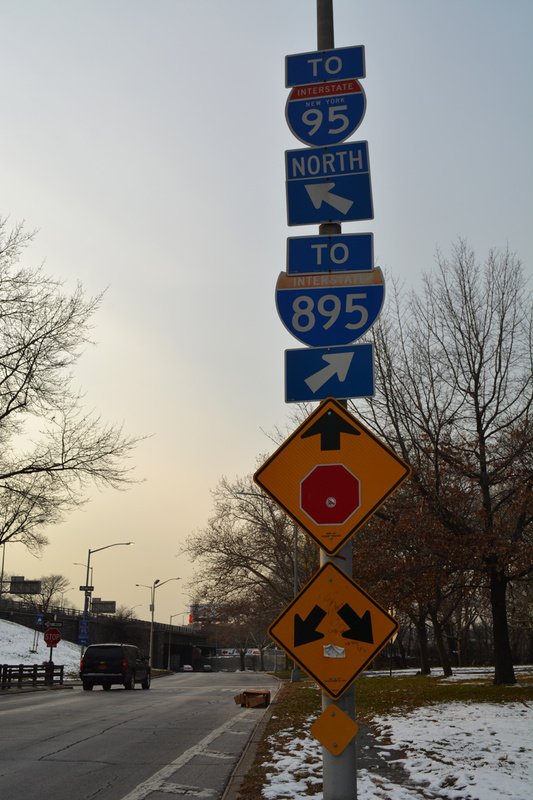 Existing signs may remain in use as long as they are still serviceable and the replacement of signs is otherwise not mandated. This City Lab article covers the font change with reaction from the one of the font’s developers. The time table for completion of the next segment of Interstate 73 in North Carolina was moved up from April 2017 to December 2016. This extends I-73 northward 9.4 miles from Bryan Boulevard to U.S. 220 near the Haw River. 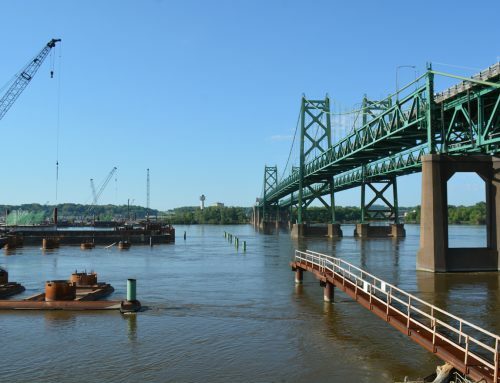 Governor Matt Bevin of Kentucky unveiled a two-year budget proposal that includes funding for the future Interstate 69 Ohio River bridge. Proposed funding includes $2.82 million for the environmental study in 2017 and $41 million for preconstruction activities in 2019-21. 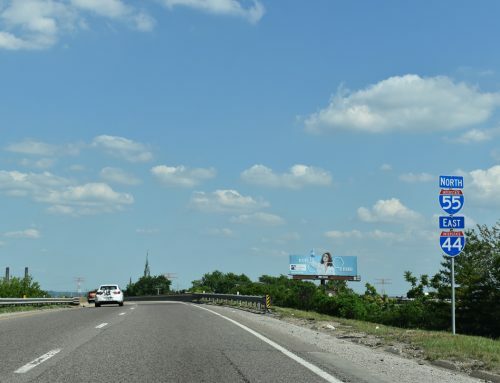 According to David Backlin on the Facebook Mid-America Roads Group, the unofficial word was a dedication ceremony for Interstate 555 will come in March. Language included in the FAST Act signed last month provided an exemption for farm equipment use along a short stretch of the future I-555 freeway at Sunken Lands. 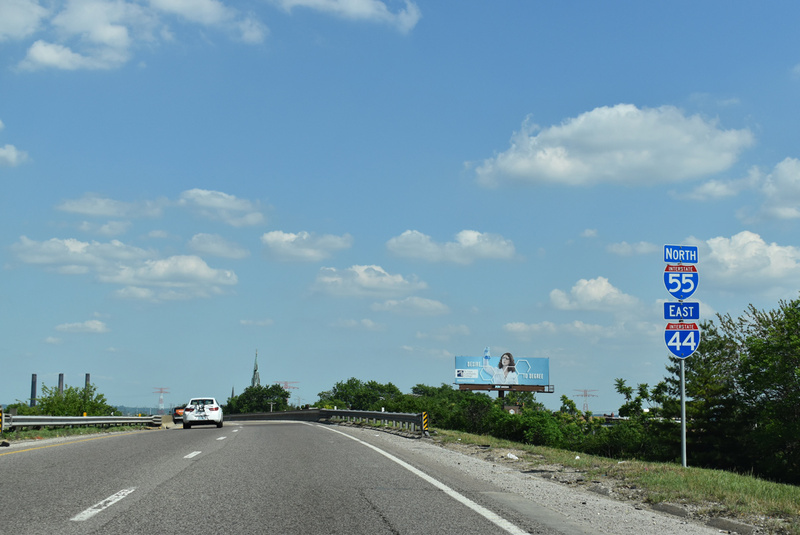 The installation of regulatory signs on that stretch yesterday means that I-555 will be official very soon. 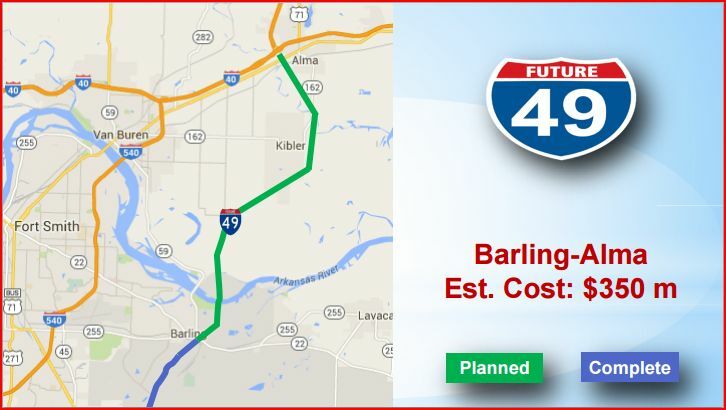 And finally in Interstate 49 news, $27 million for preliminary engineering of a new Arkansas River bridge for the corridor was included in the draft 2016-20 State Transportation Plan for Arkansas. 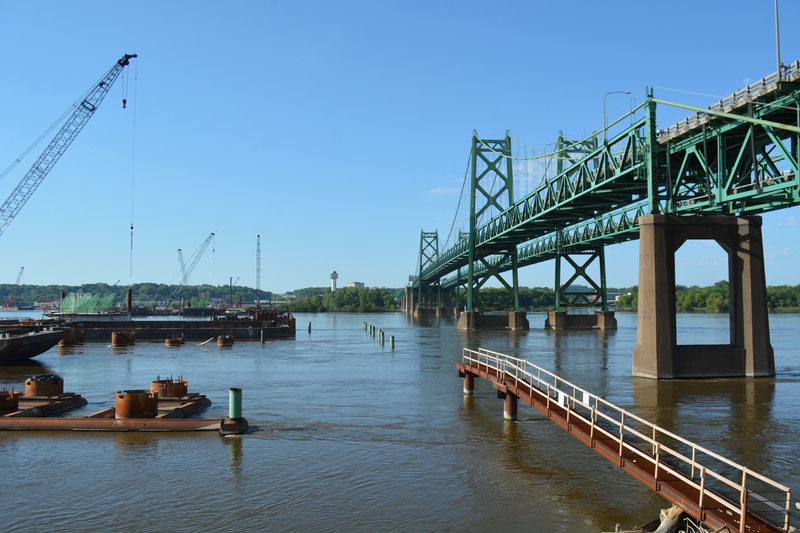 The new span is estimated to cost $235.4 million. Future updates will include more Green Bay area photos taken by Peter and some potential revisions to more routes on the Interstate Guide.